Homepage » Crochet For Baby & Children » Baby Blankets » This Pretty Boxed Block Stitch Baby Blanket Will Steal Your Heart! This boxed block stitch baby blanket pattern is an easy and relaxing project. 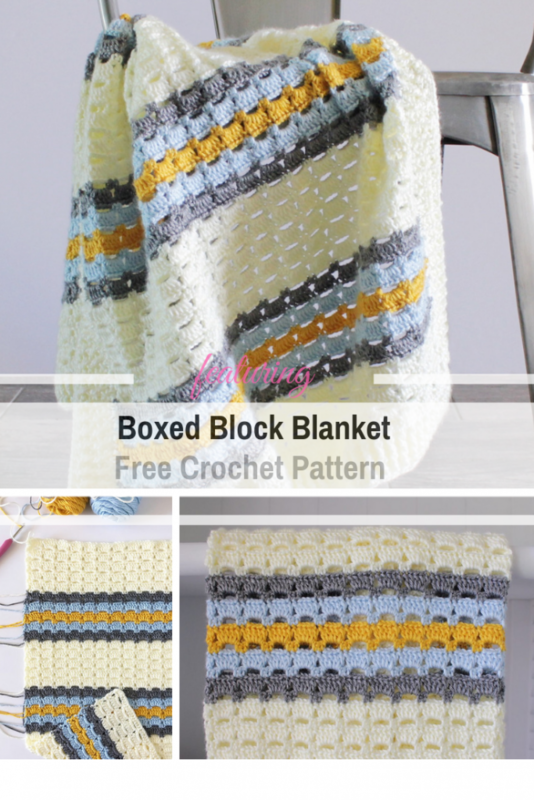 The boxed block stitch creates a fun boxed shape pattern that is so pleasing to the eye. This versatile stitch can be used for anything, from washcloths to afghans and is also a great stash buster. Boxed Block Blanket free crochet pattern designed by Daisy Farm Crafts is a beautiful pattern that works for boys and girls alike. Choose your color adventure, grab your hook and yarn and get crocheting! Get the pattern: Boxed Block Stitch Baby Blanket Free Crochet Pattern.